Puppies growl to tell you, or another puppy, that they are not happy about something, or are angry, or scared. For example, a puppy may growl when you try to lift him if he has had a frightening or painful experience of this in the past. Some puppies may growl and then wait to see if the threat will increase. Others will growl and quickly become more aggressive if the threat persists. Growling should be taken as a warning and as an instruction. Stop what you are doing, move away, or try another approach. Otherwise, the puppy may be forced to move to the next stage of force, which could include snarling, snapping or biting. Always take growling seriously and take action to make sure it stops. Then find out why the puppy needed to growl in the first place and find a way to help him overcome the problem for the future. It is natural to feel that puppies shouldn't growl at people or other dogs, and that they are being naughty when they do so. 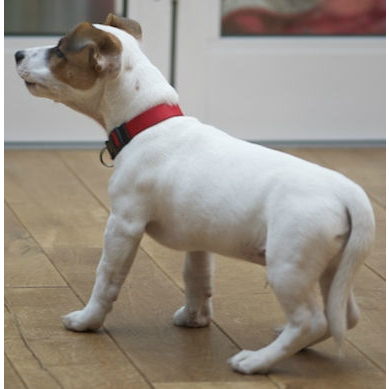 Growling can also be frightening and so it is a natural reaction to scold or punish to stop your puppy from doing it. The problem is that although punishing the growling may seem like a quick way to bring it to an end, it doesn’t solve the problem that the puppy is having and he will continue to feel upset, angry, or scared. Severe punishment may stop your puppy growling completely, and repeated punishment for growling may stop it happening in the future, but your puppy is still left with the issue he was having that caused him to growl in the first place. Punishment turns off your puppy’s early warning system that a snap or bite may be coming next, and leaves him unable to communicate important feelings. 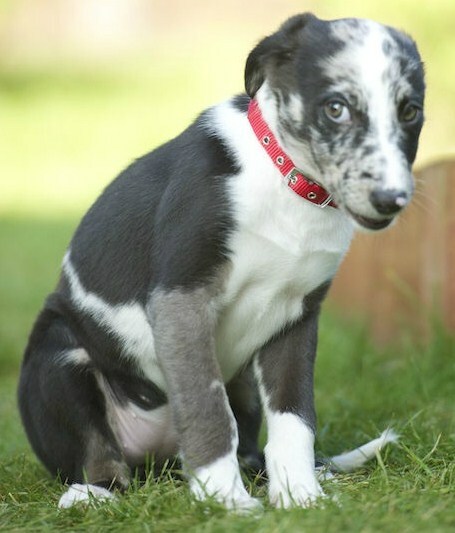 Turning off growling means that snaps or bites may occur without warning, and once it is turned off, it is nearly impossible to help the puppy be brave enough to turn it on again. Puppies growl for a reason. They are usually upset, angry, or worried about something. To find out why they are doing it, go to ‘Puppy Aggression to People’or ‘Puppy Aggression To Other Dogs And Puppies’. Finding a solution which helps the puppy feel better about the situation will take away the reason for growling and result in a happier, well-blanced puppy. Some puppies growl when they play. This is not a warning, but just a play growl. It is similar to when we are mock-aggressive to friends and family in play and isn’t anything to be worried about. However, if you don’t like it or it worries you, simply stop playing and walk away every time it happens. Your puppy will eventually learn not to growl if he wants the game to continue.